​Having a day pack frees your hands up to help with the Hiking; an especially important fact if you are Hiking up a steep slope. Having a small day pack with you on even short hikes is somewhere between a good idea and a must. If you are just hiking the trails near your house for an hour or two – then no pack is required. But if you are hiking trails away from your immediate home, and plan to be out for more than 3 hours, then you really should take a small pack to carry your essential items. 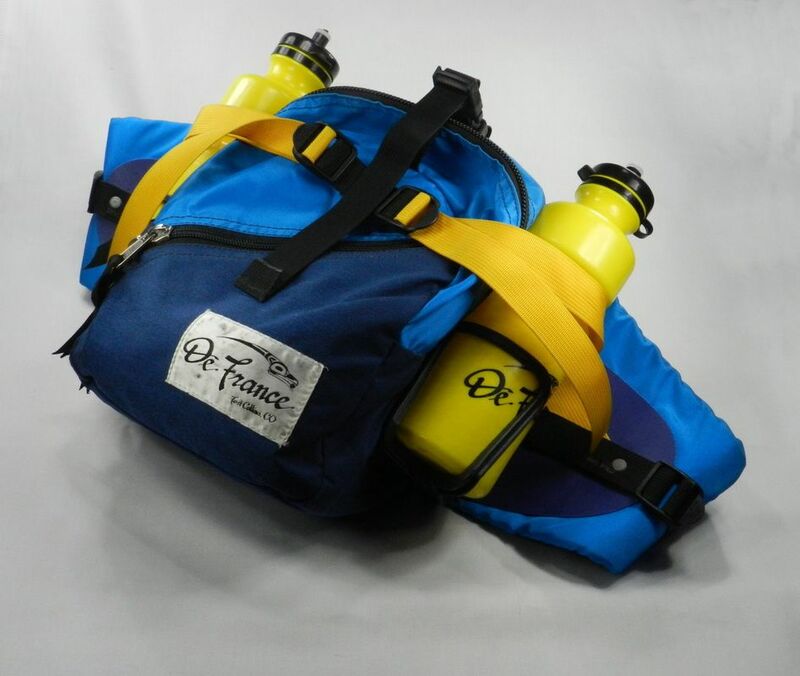 The criteria that we use to evaluate Day Packs are: 1) interior volume, 2) ability to hold water bottles on the outside of the pack, 3) number or compartments to keep items separate and easy to locate, 4) comfort and 5) price. Many people like shoulder packs for day hikes, but, since the amount of weight that you are carrying is small, we prefer waist packs. We bought the De France Waist Pack since it fits great, balances the weight well, and had 528 cubic inches of storage (.3 cubic feet) – more than enough for everything that we take Hiking. Although you can no longer buy a De France Waist Pack (since they went out of business), you can buy similar day packs at Amazon.